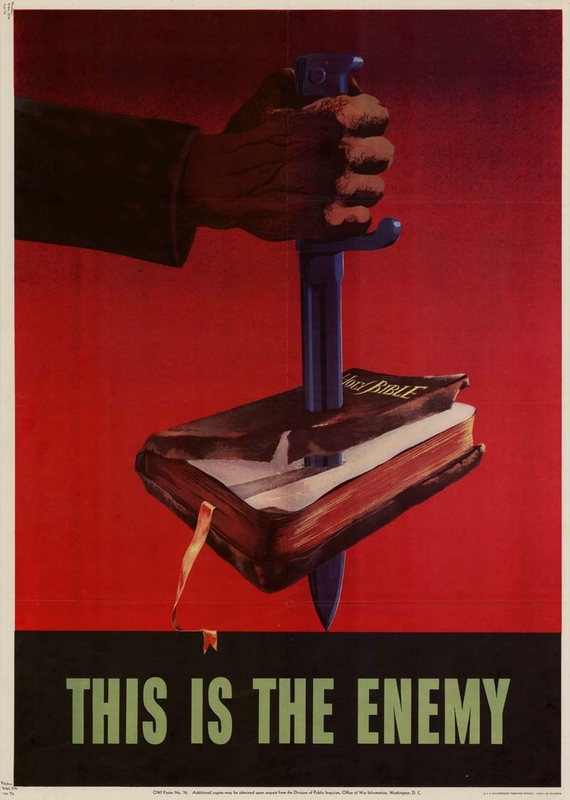 It is all too easy these days to bemoan Biblical illiteracy and castigate fundamentalists for their misuse of the Bible, and provide compelling evidence that in regard to both matters our culture is guilty as charged. Were that all that Kurt Eichenwald, (a writer for Vanity Fare with exactly no credentials or expertise to warrant his writ[ing] an article on the Bible for a national news magazine), was ranting and raving about in his Christmas present to our nation, served up in the Dec. 23rd issue of Newsweek magazine, then one might pass over this article with benign neglect as an op-ed piece at best. But in fact early in this lengthy article Eichenwald says the following: “This examination—based in large part on the works of scores of theologians and scholars, some of which dates back centuries—is a review of the Bible’s history and a recounting of its words.” The article goes on to cite exactly three scholars, Bart Ehrman, Jason David BeDuhn (a professor of religious studies, who has a terminal degree in ‘comparative religions’ not the Bible), and Richard Elliott Friedman (who does indeed have a terminal degree in the Hebrew Bible, rather than the New Testament) who can hardly be called representative of the spectrum of non-fundamentalist Biblical scholarship in general, even in America. There is, in short, no evidence whatsoever in this article that ‘scores’ of theologians and scholars’ have been consulted. There is also no evidence that there was any attempt to be fair and balanced in the scholars one would cite or draw on to base conclusions in this lengthy article. In this regard, this article is light years away from some of the helpful pieces by Richard Ostling or David van Biema or other fair-minded journalists in past years who actually know the field about which they are writing, and the spectrum of views held by scholars and pastors in regard to the Bible. In regard to either of the issues of familiarity or fairness Eichenwald gets a failing grade as a journalist. Indeed, ironically he serves up the very same sort of biased interpretations and polemics that he accuses fundamentalists of, not without some justification. And here is where I say fundamentalism is basically a mindset, not a position on the theological spectrum. Believe it or not, there are fundamentalist liberals in our land as well as fundamentalist conservatives. In both cases, what characterizes them is rigidity of opinions and the failure to evaluate all views critically, including their own. In short it involves a bad mixture of arrogance and ignorance. This is not merely misleading, it’s historically incorrect! It is not true that the original manuscripts are hopelessly remote from us and cannot hope to be recovered. Nor is it the case that the vast majority of modern preachers are oblivious to the actual state of the Biblical text that stands behind various modern translations. This is not only a caricature of the majority of America’s clergy, it is an even worse caricature of the state of play in regard to the text criticism of the Bible. As Dan Wallace, one of the real experts in text criticism of the NT, says in his own critique of Eichenwald’s article, “we have Greek manuscripts—thousands of them, some reaching as far back as the second century. And we have very ancient translations directly from the Greek that give us a good sense of the Greek text that would have been available in those regions where that early version was used. These include Latin, Syriac, and Coptic especially. Altogether, we have at least 20,000 handwritten manuscripts in Greek, Latin, Syriac, Coptic and other ancient languages that help us to determine the wording of the original. Almost 6000 of these manuscripts are in Greek alone. And we have more than one million quotations of the New Testament by church fathers. There is absolutely nothing in the Greco-Roman world that comes even remotely close to this wealth of data. The New Testament has more manuscripts that are within a century or two of the original than anything else from the Greco-Roman world too.” (http://danielbwallace.com/2014/12/28/predictable-christmas-fare-newsweeks-tirade-against-the-bible/). Exactly. Rumors that we cannot recover the vast majority of the original substance of the Biblical text are false. Indeed, the doyen of all text criticism in the last 50 years, Bruce Metzger of Princeton (the teacher I might add, of both Bart Ehrman and myself) was willing to say that we can know with a high degree of certainty what about 90% of the NT originally said, and in regard to the rest which is textually dubious, no major doctrine or theological or ethical principle is at issue in these variant readings.